For years patients licensed to use and grow marijuana for medical purposes have been growing in small indoor grow rooms. 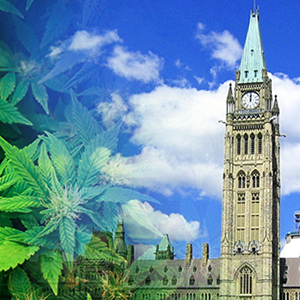 Warehouse production of marijuana on a commercial scale is the natural progression from the small grow rooms to professional legal facilities concerned with producing consistent top quality cannabis. 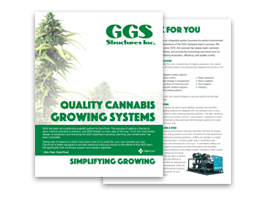 The integrated growing solutions provided by GGS have been designed by combining over 35 years of experience with technologically advanced automated agricultural production and the in-depth knowledge of seasoned growers and plant scientists. 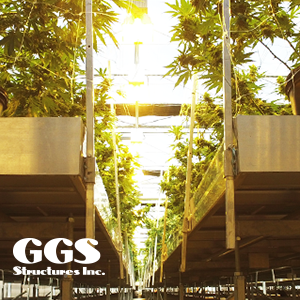 If you are looking to build a new warehouse for the purpose of growing marijuana GGS can supply you with the steel building. When you start from scratch, bringing GGS into your team at the very start makes sure every detail is coordinated. 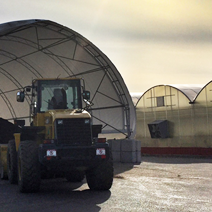 GGS can also accommodate growers who are renting existing warehouse space. 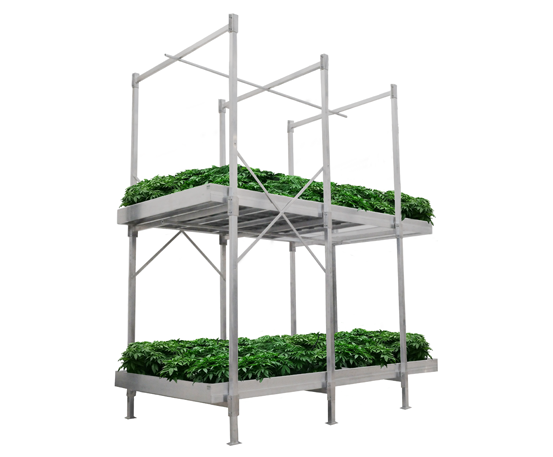 We can provide grow benches, lighting, air filtration/circulation systems, computerized climate control systems, irrigation, de-humidification, and CO2 injection. 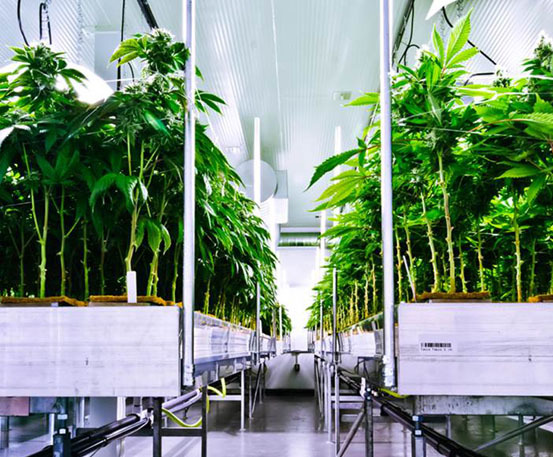 A warehouse facility environment provides the cannabis grower with maximum control, and therefore the most reliable consistent marijuana crops can be produced in a properly designed warehouse grow room. 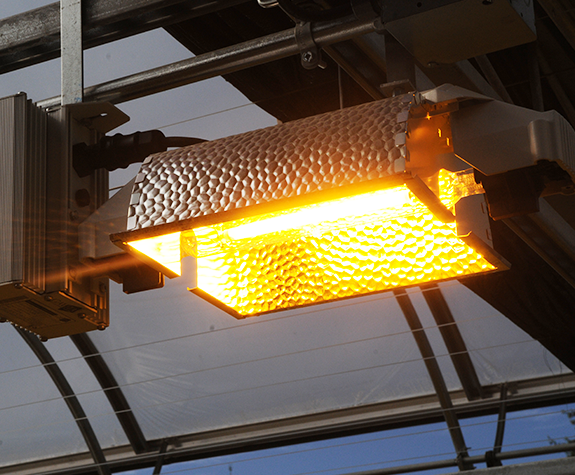 Without natural light, warehouse grow rooms depend on intelligent grow lights which need to replicate the parts of the sunlight spectrum that the marijuana plants need at each stage of growth. Lighting is a key component in an integrated system. Air filtration and circulation systems are essential for controlling heat buildup, and eliminating exhaust odors. 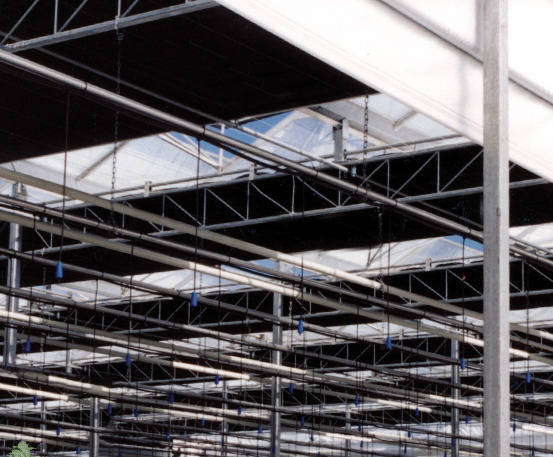 It is critical that the air circulation in a marijuana warehouse is designed in conjunction with the grow lights because lighting systems emit large amounts of heat. 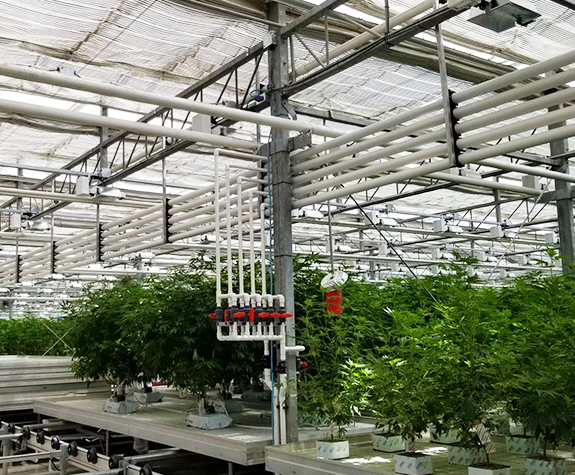 There are various irrigation systems for growing marijuana appropriate for growing in a warehouse: including drip irrigation, hydroponic flood benches, or trough benches. 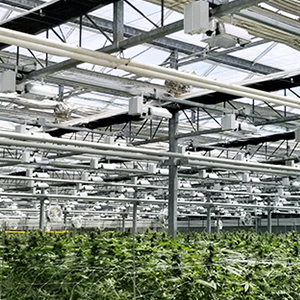 The irrigation system should be designed in conjunction with a nutrient management system for maximizing the production yield of the cannabis plants. 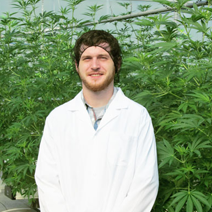 The brains of the complete marijuana growing system whether a warehouse grow op or a greenhouse production facility is our environmental computer. The computer control systems for a marijuana warehouse control and monitor all the nutrients, lights, air circulation, and irrigation needs of the plants, it is designed to maintain the exact environment needed for as many different growing rooms, cloning rooms, flowering rooms as you need. With our system, all of this can be conveniently run from your smartphone. 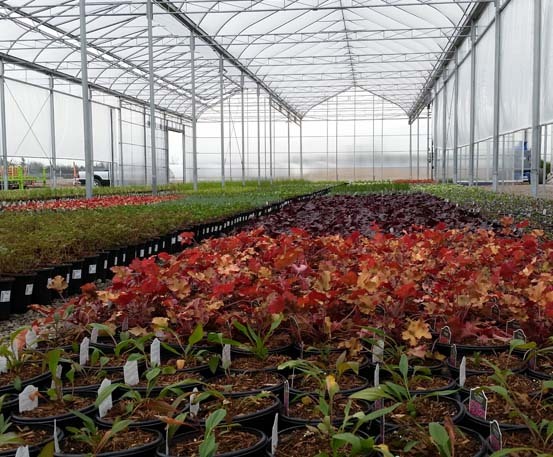 Custom made benches (growing tables) that not only maximize the efficiency of your growing space, but that are made of materials that are compliant with Health Canada’s requirements, or the local code that you need to meet. 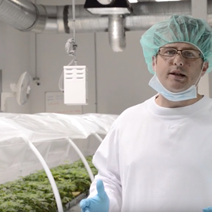 De-humidification to optimize your growing environment. Computer controlled CO2 injection and monitoring.